Essential to protecting the suction side of vacuum pumps from harmful contaminants, the New Alpha Series of Vacuum Pump Protection filters excel in both rough and high Vacuum applications and cover all of the most popular sizes of vacuum pumps. 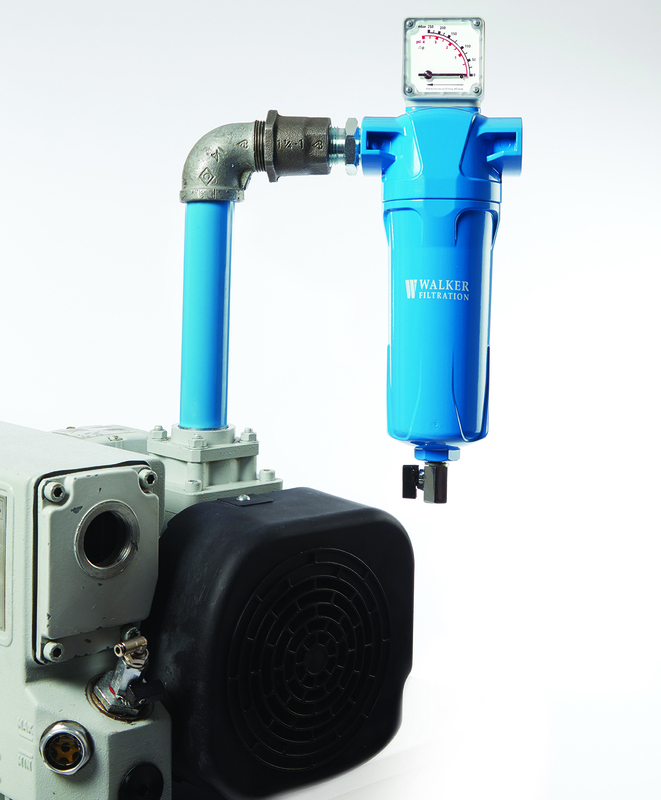 With exceptional results in liquid prevention, the New Alpha elements are constructed using custom engineered oleophobic borosilicate filter media and a unique anti-re-entrainment layer to guarantee exceptional dirt holding and drainage capabilities; preventing damage to rotating parts, the vacuum pump, and process application. Designed with flow-optimisation in mind, the New Alpha Series of Compressed Air and Vacuum filters feature an all new advanced filter head and element design for improved air flow and performance - increasing the energy efficiency within your Compressed Air system. New Alpha Vacuum Pump Protection filters are offered in a range of 16 models with connection sizes from 3/8” to 3” Rp (BSP Parallel), Rc (BSP Taper) and NPT. With a maximum operating temperature of 120˚C (248˚F) and flow capacities up to 288 SCFM (490 Nm³/hr).